Golden Beach Single Family Homes are limited along the ocean & bay and today’s inventory show us an excellent selection with 62 homes on the market in this small community ranging from $579k to $27,500,000 while there are only 39 on the water for sale ranging in values from $1.7M & up. In review of waterfront homes of Golden Beach, we see 2 homes under contract today ranging from $1.375,555M to $3.2M. What we see in these attachments below are what appears to be the local market values of Golden Beach peaking in 2007 with the average list price per square foot at $1,635 psf with a selling price per square foot of $1,222 and boasting the lowest number of days to sell at 297. As of 2009, the average selling price per square foot was only $625 psf for a 62% decrease in selling values since the peak and a 41% decrease over 2008! Preview the very best Golden Beach homes for sale in 2010. 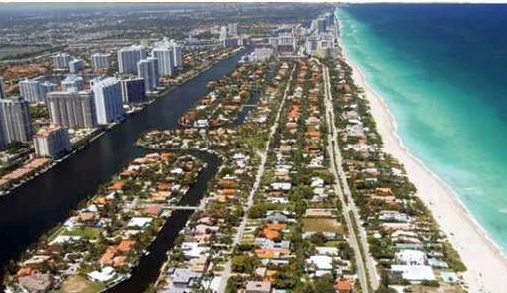 8 Golden Beach homes expected to sell in 2010. I’ll report again on the local Golden Beach real estate market changes in 6 months so stay posted if you have an interest in this premier location… contact me for more information 1.888.383.7326!